Heavy Bass and Universal Studio’s Hollywood Horror Nights soundtrack producer FIGURE has released his collaboration and The Shining filled Visualizer with Code Pandorum off of his upcoming Monsters 7, “RedRum”. Pre-Order ‘Monsters 7’ HERE & Download Figure and Dack Janiels “The Ritual” Free! Josh Gard, also known as Figure, has become a household name in bass music with a catalog that spans over 5 years and over 100 tracks. Figure is best known for his signature, heavy bass sounds, but his music has crossed various genres as heard on his most recent full-length LP, Gravity (2015, DOOM MUSIC). Figure also runs DOOM MUSIC which originally started as an outlet for his own music, but in 2016 will see the release catalog expand to include original releases from other artists for the first time, in addition to the highly anticipated Monsters 7. 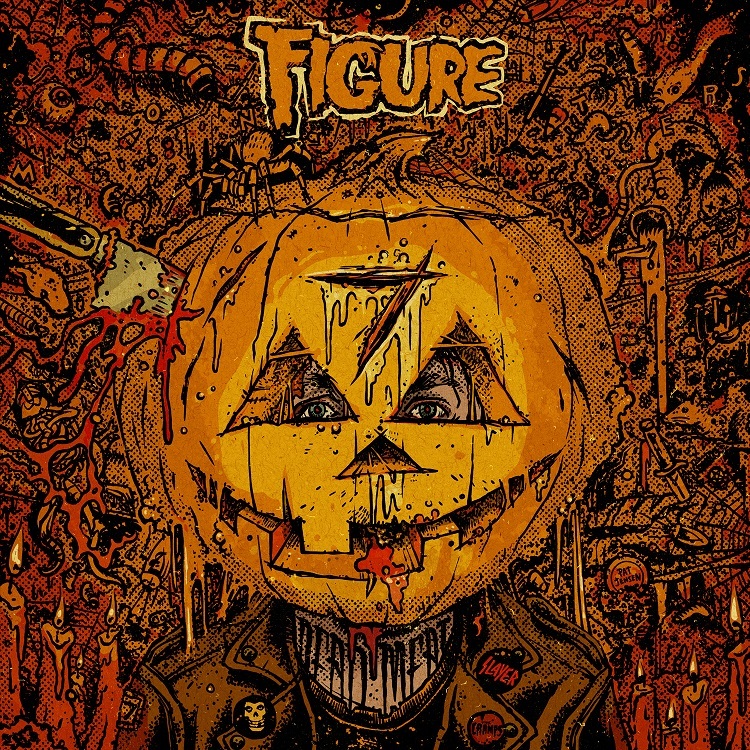 Figure is back with his 7th annual Monsters release, seven brand new songs including guest appearances by Bare, Dack Janiels, & Code Pandorum. Following up his 2015, 66-track digital box set Monsters 6.66 this album is straight to the point, heavy bass and classic, monsters-inspired sound that Figure has crafted over the years. Having toured extensively throughout his career, you can hear the desired intent for his music to be heard in clubs and on large festival stages across the globe. Monsters 7 ranges from Dubstep & Drumstep all the way to heavy metal influenced sounds with live instruments played by Figure himself. 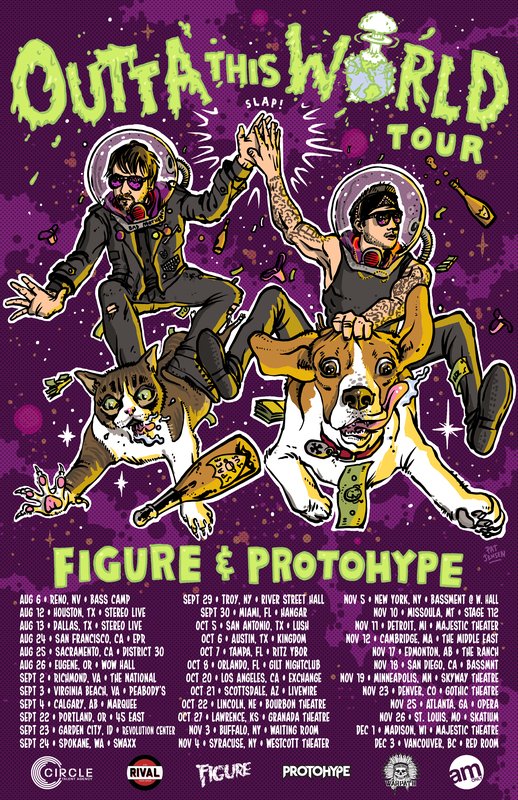 Figure started 2016 on the Paradox Tour with Excision, running through over 60 cities in just under three months playing for sold out crowds across North America, making solo trips to Europe and Australia in the spring and is now on tour again across North America headlining the Outta This World Tour withProtohype ( #OTWTour ). The touris a collection of weekend club dates, playing every major US market, including but not limited to New York, Los Angeles, Denver, Houston, San Francisco, Montreal, Vancouver, Orlando, Atlanta and many more. Figure will also make solo headline appearances this Halloween at Chicago’s Freaky Deaky & Maryland’s Nightmare Festival, ending 2016 with trips back to Europe to headline stages at I Love Techno Festival & Splash upon the end of the #OTWTour. This Halloween Figure’s music will once again be featured at Universal’s Hollywood Horror Nights theme park in LA, having been featured in the theme park now for three years in a row. Figure’s song “Monster Mania” was featured in 2016’s brand new season of Always Sunny in Philadelphia’s episode titledBeing Frank, as well as various other Film/Tv placements in previous years.